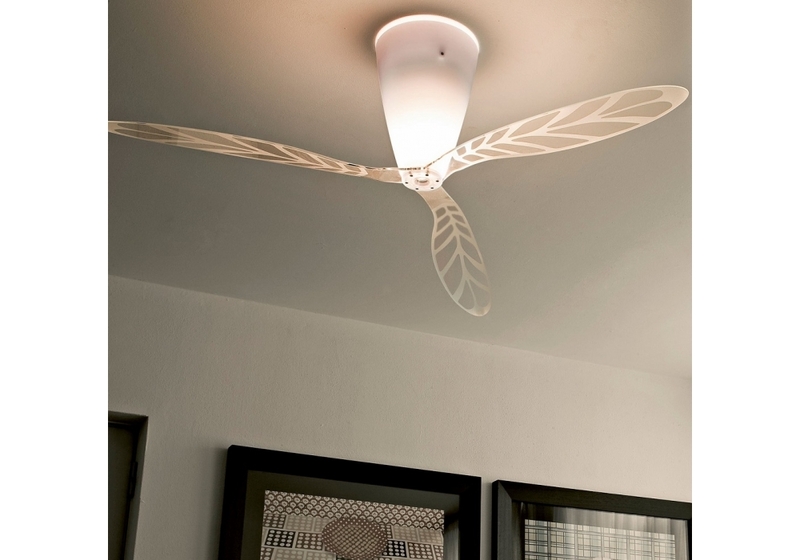 Blow is a ceiling lamp Fdesigned by erdi Giardini for Luceplan. 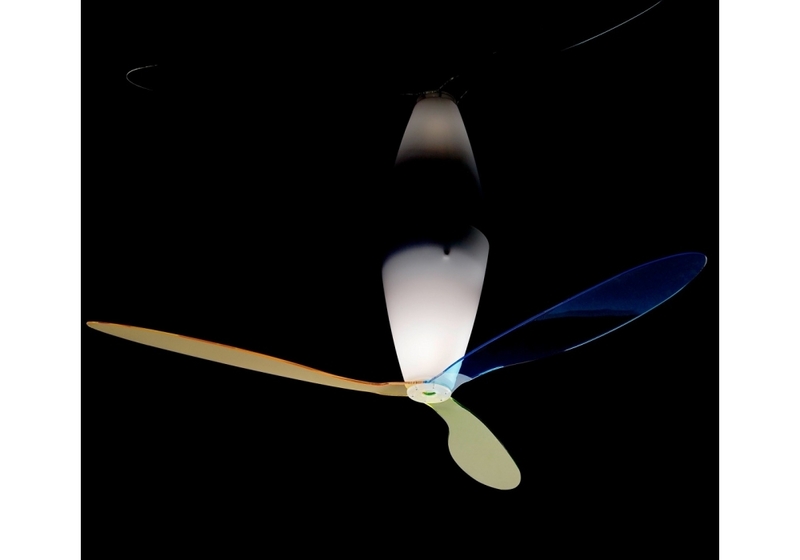 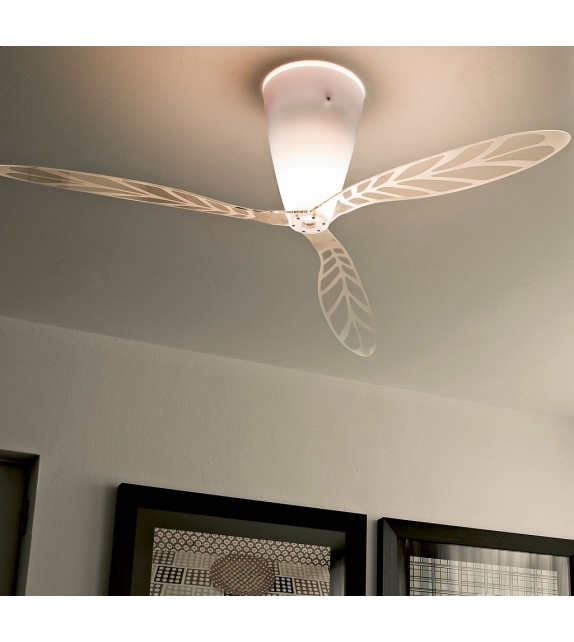 Blow, the “fan with the light above its blades”, protected for this reason by industrial patent, is a multi-functional light! 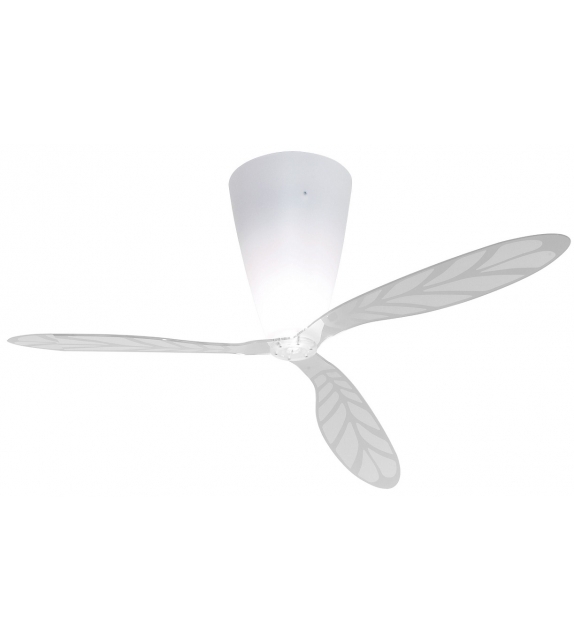 Thanks to its sophisticated electronics, both the light and the fan can be operated by an infra-red remote control. 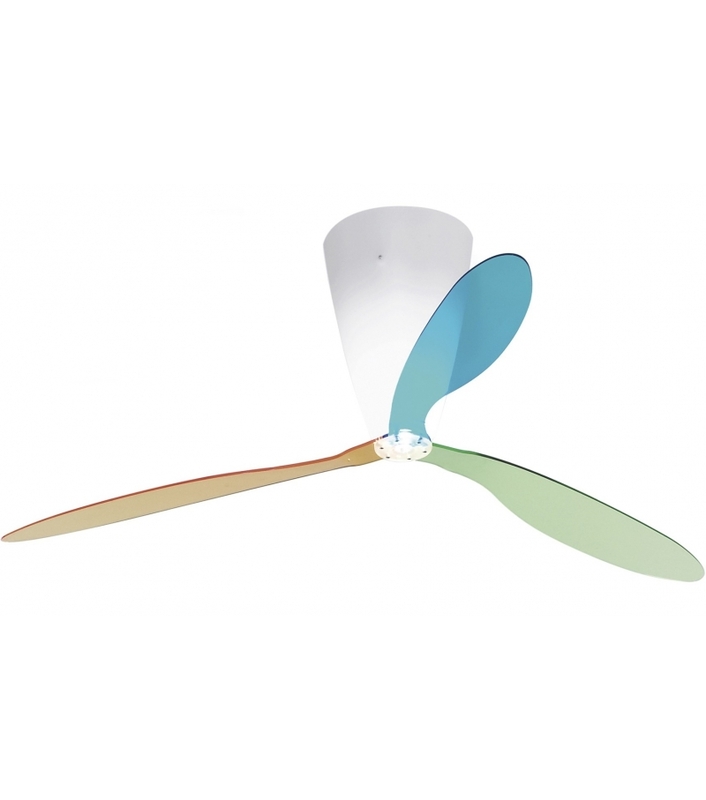 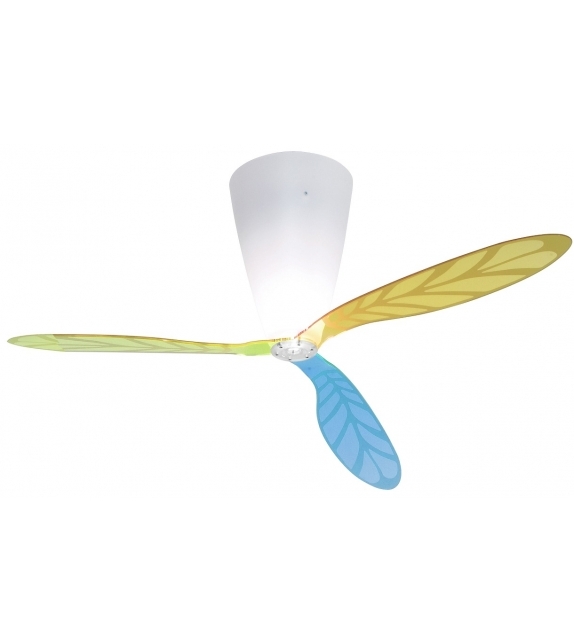 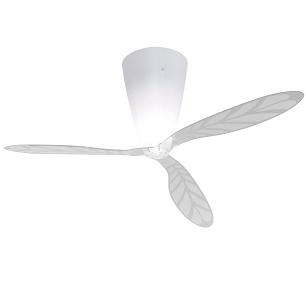 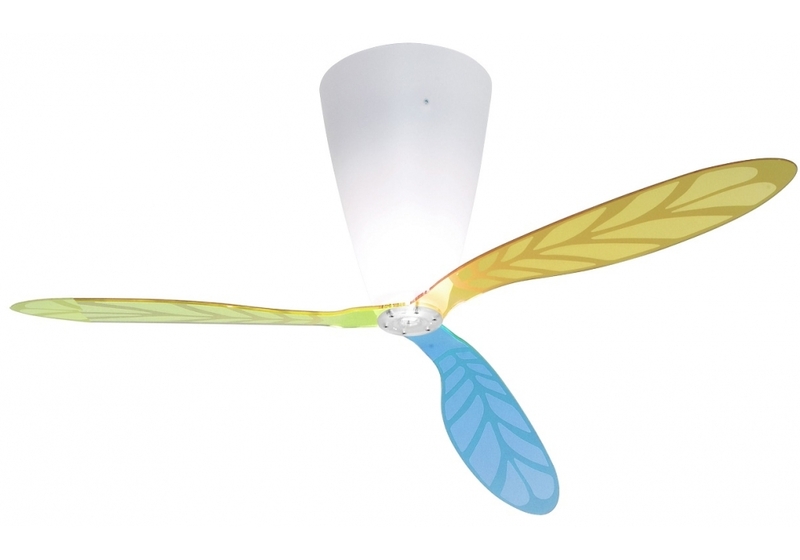 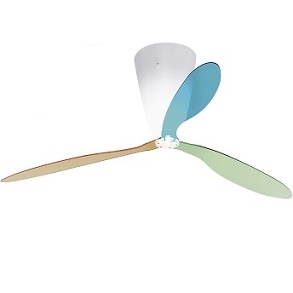 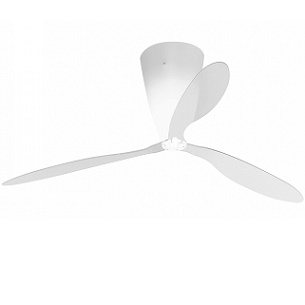 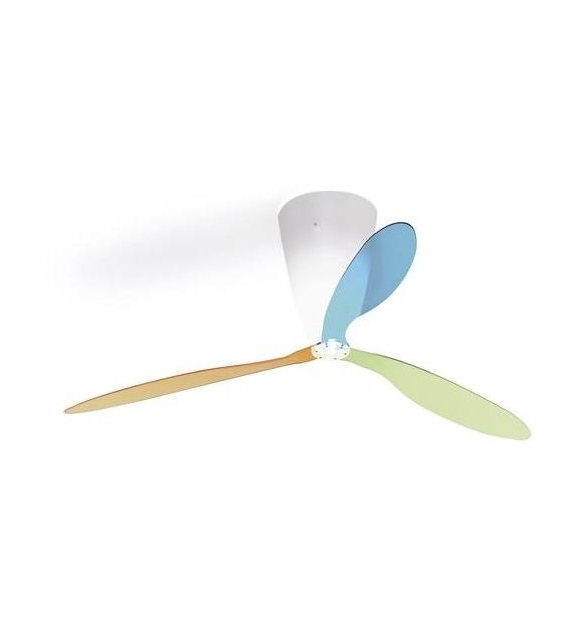 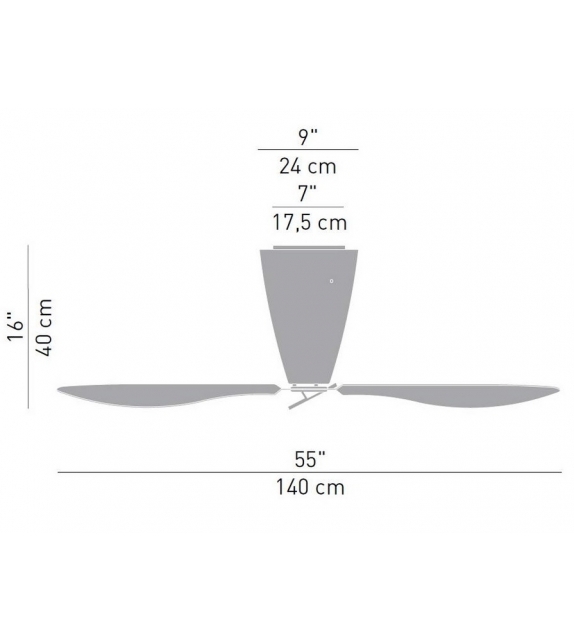 Thus the fan can be installed while leaving the existing electricity system unaltered. 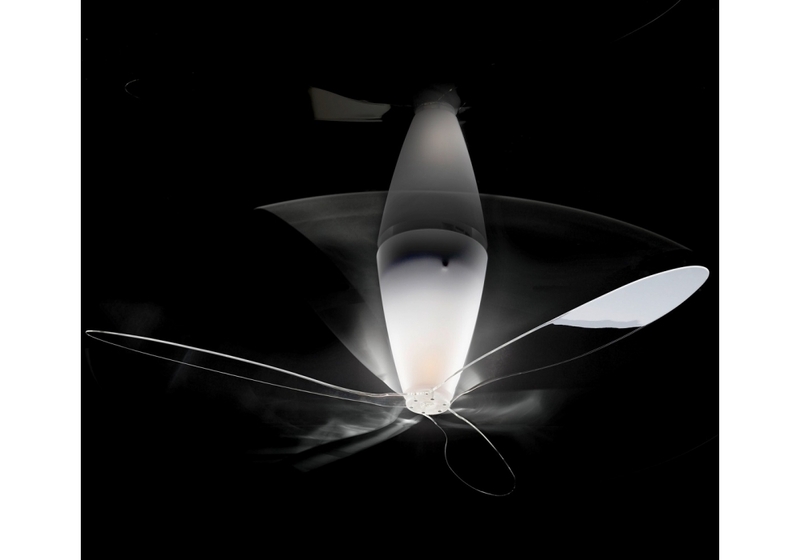 Blow is a ceiling lamp Fdesigned by erdi Giardini for Luceplan. 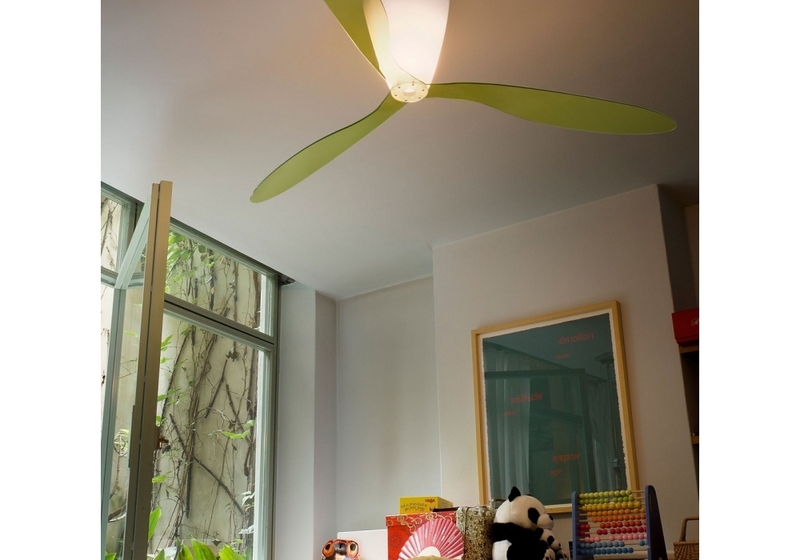 Blow, the “fan with the light above its blades”, protected for this reason by industrial patent, is a multi-functional light! 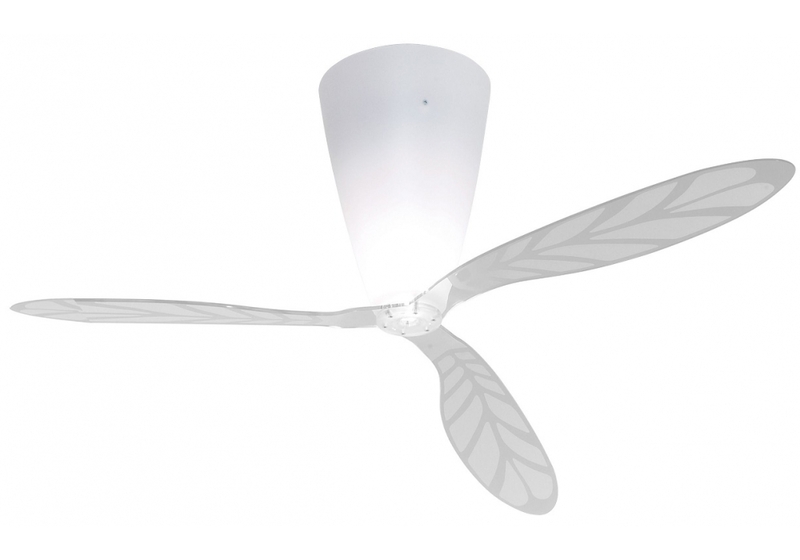 Thanks to its sophisticated electronics, both the light and the fan can be operated by an infra-red remote control. 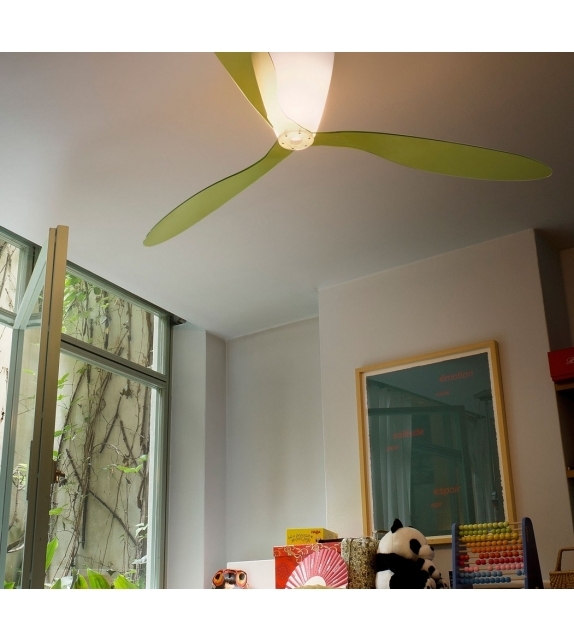 Thus the fan can be installed while leaving the existing electricity system unaltered, or using ordinary switches that can be inserted in traditional wall plates. 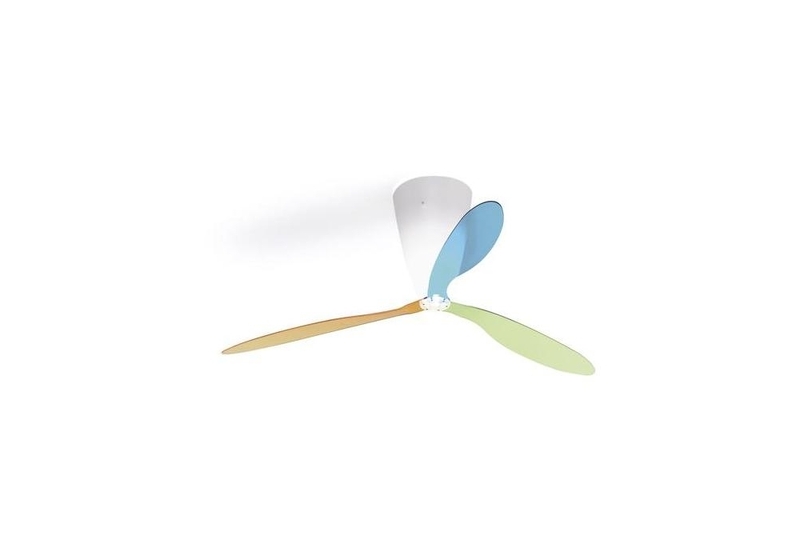 Blow also has an operating switch that can be used to reverse the blade rotation so as to regenerate the continuous and one-way air flow. 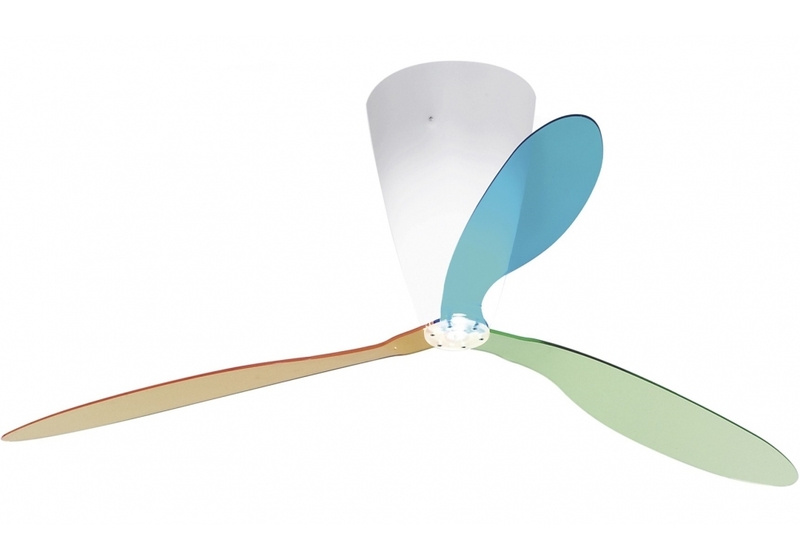 The blades, with their particular profile and transparency, make the light elegant and easy on the eye. 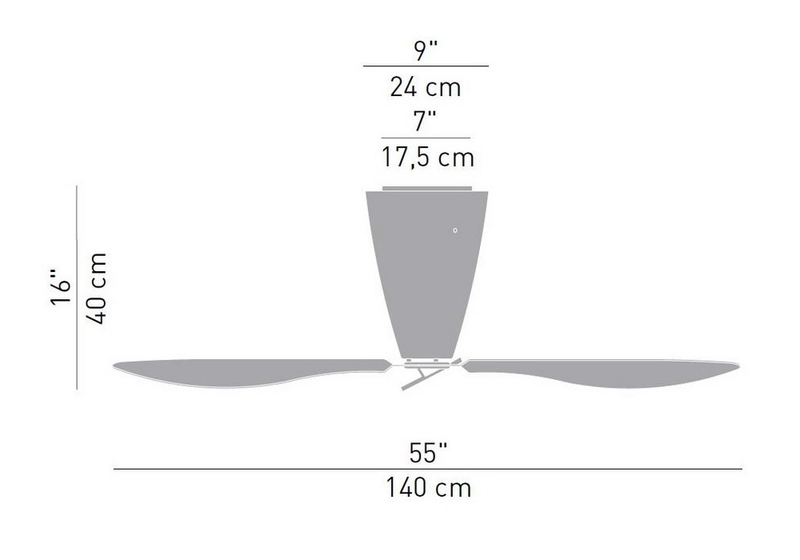 The exceptionally quiet motor (only 32 DB), is mounted on ball-bearings inside the opaline polycarbonate bearing case.